Your wedding is a very special day. You look perfect,and your guests are arriving in their finest to honor you on your special day. 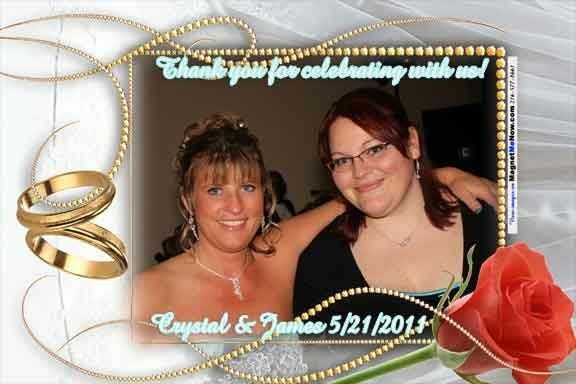 Magnet Me Now photographer captures you and your guests on high quality photo magnets wearing and looking your best. The photos for the magnets are taken while you and your guests are having fun doing what you want to be doing: dancing, eating, talking. Not waiting in line. The photo magnets are printed on location and placed on a magnet board to display all of the beautiful people in attendance. Each and every person/couple/family in the photo will receive a photo magnet, not just one picture is printed. And the unique part of this is that once all of the guests have had a chance to admire themselves on display, they can remove their own photo magnets and take them home as their party favors. You and your guests put them on the fridge, file cabinet, or locker. Exhibit them in high traffic locations so that not only will the people in the picture shine in their best clothes, but also will remember your unique, special, and beautiful wedding. 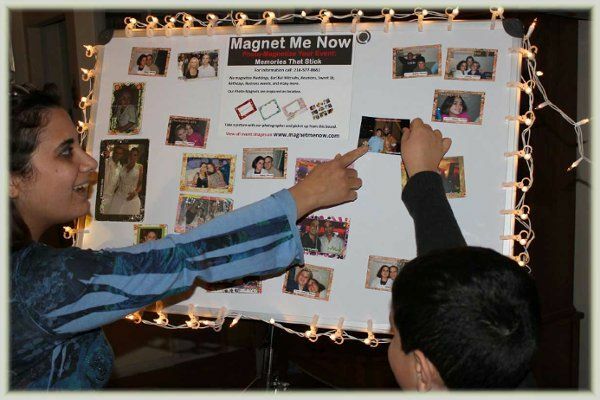 Magnet Me Now is perfect for all types of events and by far is the the best alternative to Photo Booth in your wedding. Magnet Me Now was awesome! All my friends and family love to take pics and the green screen and the props was a perfect favor for my wedding guests. 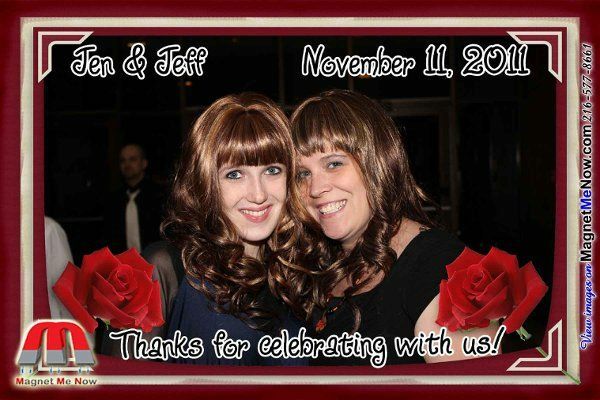 They absolutely loved it and they were able to take a memorable pic home. David is also great! We were running late and my photographer had to leave. David took pics of my husband and I cutting our cake and our first dance. Without his kindness we would not have had any pics of those special moments. You gotta try them out. I had my mind set on having a mirror photo booth for my reception until someone recommended David from Magnet Me Now. It was the best decision I could have made. David does more than any photo booth. 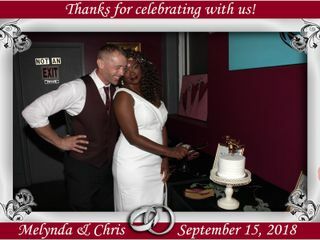 Not only did our guest have photos with custom made frames, he took photos of my husband and I entering the building, dancing, cutting the cake, etc. He captured all our special moments (something the booth couldn't do), I DEFINITELY RECCOMEND!!! Thanks again! My daughter used Magnet-Me-Now for her wedding. The pictures were fantastic. Clear and bright. Many of David's photos were better than the photographer's photos were. Not only did he shoot photos of people who came to him but also shot photos of the ceremony and shots of various decorations. I will certainly be recommending him to anyone looking for a photo booth concept. 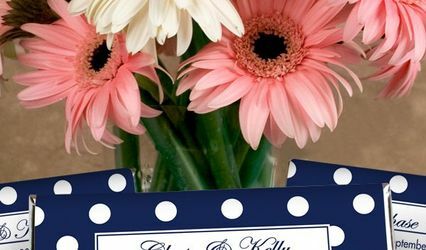 It makes it even more sense when you realize you don;t have to purchase wedding favors. You can take as many photos as you like and you get a copy of any that you are in. 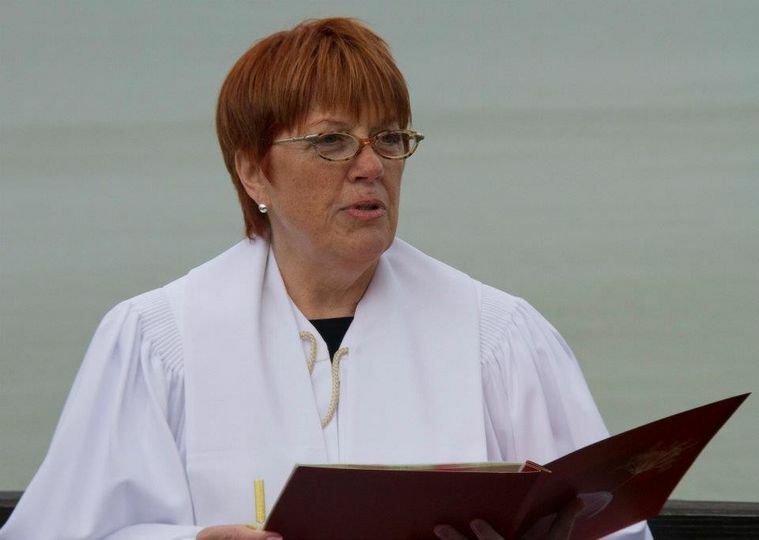 It truly is a wonderful service. The photographer is very professional and friendly. You don't even know he is there. David worked a wedding I coordinated this past October. 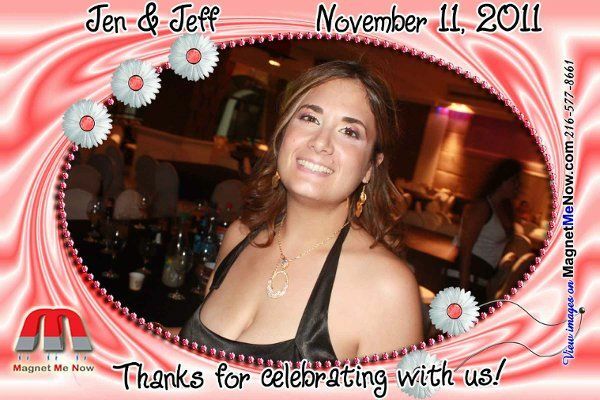 Not only was her professional and wonderful to work with, but the guests could not stop raving about how fun it was. 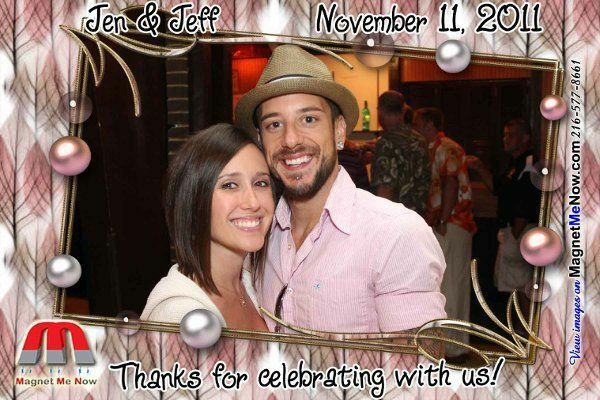 I will for sure be recommending Magnet Me Now to future clients who are looking for a photobooth or fun favors. This is a creative and fun alternative for the photo booth. It is a favor guaranteed to be put on the refrigerator of every guest!